The citizens of America are caught between the future and the past. The past represented a rigid society trapped within a strict confinement ruled by a feeling of guilt. The present generation of Americans have begun to remove the restrictive rules of the past and is teetering on the brink of disarray and destruction. This book was intended for you to do your own research on factual information from this book. 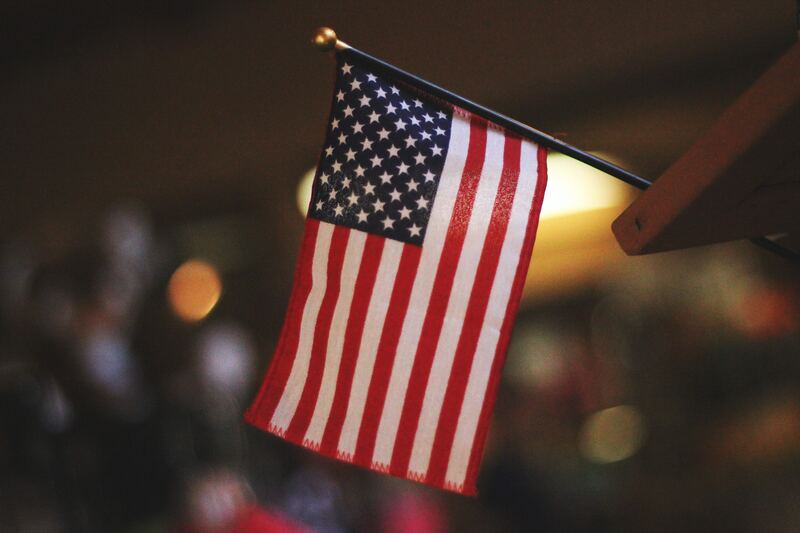 Jillion asks that you read what he sees as a logical explanation of what is taking place in America with the hope you will feel that our nation can only be strong if it is controlled by the voices of the people. Finally, a book written specifically to what author Jillion R Rising believes will be America’s greatest generation to advance our nation’s future. 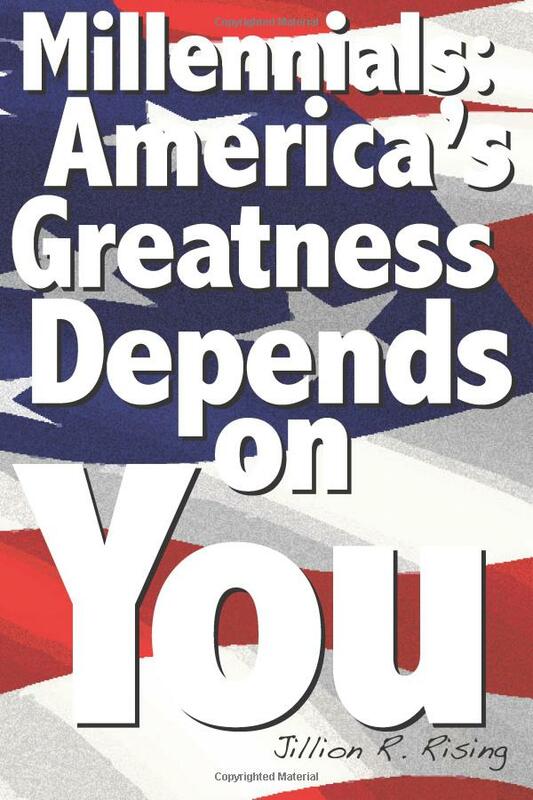 It is the author’s belief what he has provided within the pages of this book will provide a foundation and understanding to the Millennials regarding what resides within their American DNA! Jillion R. Rising was born in the Midwestern region of the U.S. in 1960. He grew up on what he calls the streets of hard knocks and has earned his Master’s Degree in what is called Life! In other words, he comes from humble beginnings and understands how hard it is for all Americans not fortunate enough to be born of privilege. He was fortunate that early on people saw something in him they felt was suited for leadership within various organizations. It was these forming years of managing people that he learned every person had a certain gift or skill that came easy to them and that his gift was helping them find it and bring their gift to full potential. What has brought him success is always believing in the American people, that given the chance no matter their color, gender, ethnic or religious background the people of this great nation if treated correctly will never let you down! 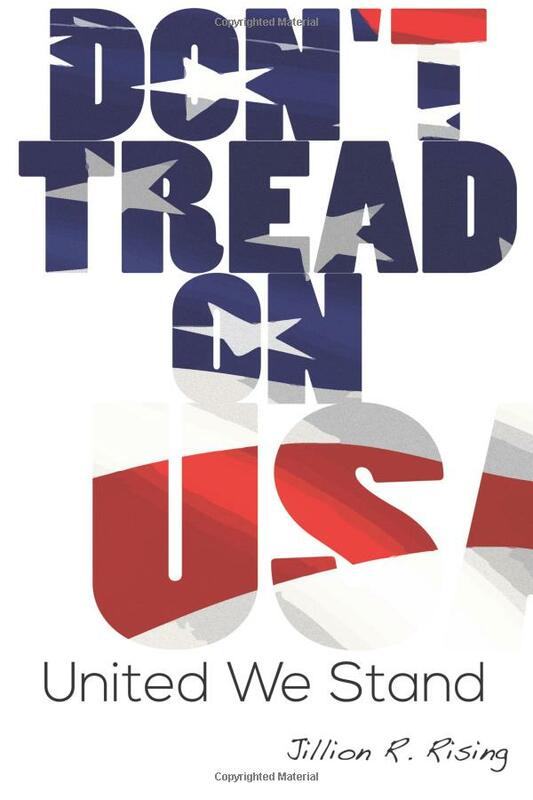 His purpose for writing “United We Stand-Don’t Tread on US” is due to the concern America is losing its spirit of being a free independent people. 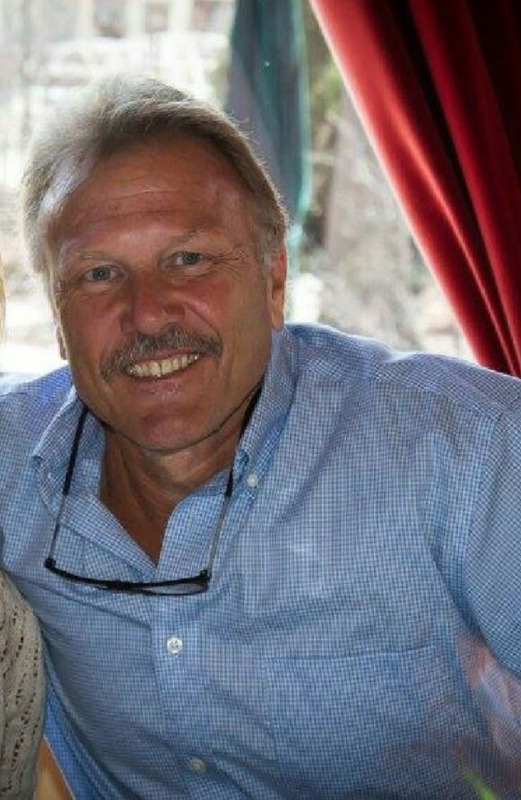 Throughout his business and coaching career the importance of people working together as one has always been the success of whatever the endeavor. The urgency to speak directly to the American people from an ordinary citizen was put upon his heart as he’s watched the Divide and Conquer tactics working to pit the hardworking citizens against one another while the umbrella of power has fundamentally changed America. "This book is extremely thought-provoking and covers issues that are not normally discussed. I agreed wholeheartedly with the sentiments throughout. It is a mind-blowing fact how we, as a society, are manipulated to act and behave in a certain way through the constant barrage of subliminal messages from the media and people in powerful positions. I loved the section on comfort lists and how you can change your thought patterns in a positive way and discover your authentic self. I agree with the idea that labeling children&#39;s character traits can have a destructive nature on their personal growth. A highly recommended book and there are many good discussion points in there for families to ponder." "This book is all about the problems that we face and what they really mean for us, not to mention what we should be doing in order to put ourselves on a road toward reality and success in our personal lives. We have responsibilities to ourselves and our children to help make this world a better place, and to make sure that we understand what’s really going on, so we can continue to push in the right direction, which is what Are You Being Set Up To Fail? is all about." "This is a book I needed to read many years ago, when I was much younger, and a book I would recommend to everyone, especially young people. Loaded with powerful insights and wisdom, it is an eye-opener, and the tool that allows readers to look at themselves differently. 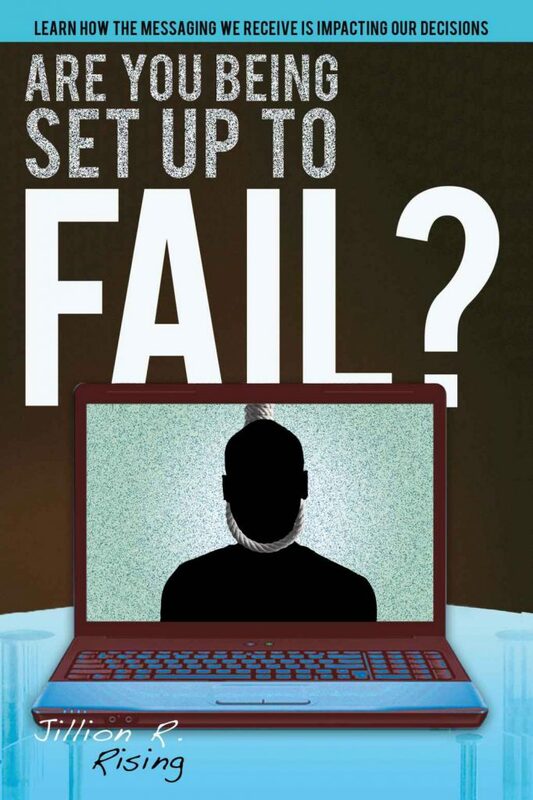 Are You Being Set Up To Fail? is informative, deftly written, and compelling. It contains just what any contemporary reader needs to know to live authentically and achieve success on their own terms. You’ll be enlightened and empowered after reading this book." "It is good that Rising inform readers that they're not crazy and that they're not alone; there are others that feel the same if not similar confusion in what they are experiencing. There are some people that live a minimalist existence while others are extravagant. In the middle are those that are unaware or unsure as to which way to go. The ultimate platform should be balanced. There should be nothing that can dictate your life’s existence - not money, stuff or things. This book provides a logical perspective into looking at the man in the mirror, building your self-worth and self-esteem, and spending less time and effort on what others - including the media - state is the latest and the greatest." "This book will empower people, especially parents, to identify the media junk that leads people to feel helpless, helping them understand how corrupt politics and the advertising industry can impact negatively on the lives of individuals. The author looks critically at the misleading voices of the media, how information overload can create stressors, the connection between our mental thought processes and the quality of life we live, the moral dilemma of sin, and a lot more. Jillion R Rising’s book is a wonderful gift for this generation, a message of hope, and one that empowers readers to take their destiny in their own hands, to take full responsibility for their lives. 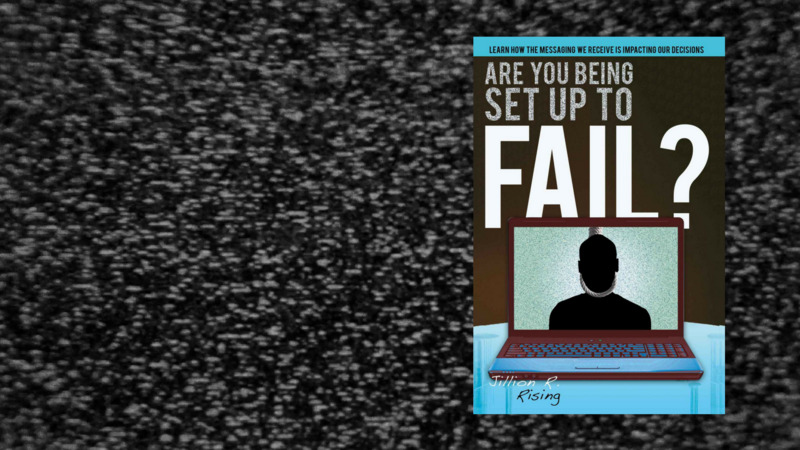 Are You Being Set Up To Fail? is a book to read and pass on."